Home Animals Q&A: When Does Animal Rescue Become Animal Hoarding? 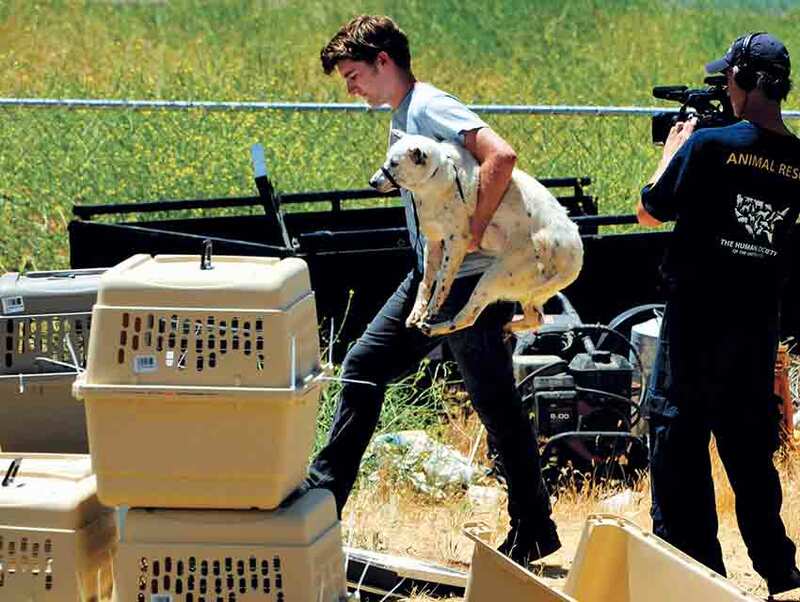 Carol Mithers writes about accused dog hoarder Kimi Peck, who’s on trial this month in Colorado after being arrested for animal cruelty, in Los Angeles magazine’s July issue. Mithers, who flew to Colorado to get Peck’s side of the story, speaks with her editor, Matthew Segal, about Peck, hoarding, and the “dramatic” world of dog rescue. Carol, how did you learn about Kimi Peck? I’ve been following stories about rescue hoarding since I learned about the issue three years ago. I found it so strange and disturbing. There have been a series of high-profile rescue hoarding cases in that time, a number of them around L.A., and hers was one of them. When you think back on your conversation with her, what stands out most in the gap between the person you’d been reading about and the person whom you met? The almost over-the-top intensity of some of Peck’s critics made me wonder if she’d been unfairly accused. Peck’s intelligent and literate, so we had a good conversation, and while I’d heard stories of her being verbally abusive, she was extremely friendly to me. But hearing her blame her years of problems on a conspiracy of people, some of whom I knew had never met each other, suggested the charges were accurate. I know other rescues and rescuers who’ve been in business for many years, and they simply don’t have these issues. For anybody who hasn’t read the story yet, how many ‘rescued’ dogs did she keep at one time? The accumulation of dogs varied, but in Burbank, it seems to have been as high as 300 to 400. And how bad were the conditions? Peck says they weren’t bad at all. But the sheer numbers make that impossible. The guidelines for standards of care spelled out by the Association of Shelter Veterinarians say explicitly that animals kept long-term should be provided with daily enrichment, exercise, and alternatives to cage housing. Those who worked with Peck in Burbank described dogs kept confined to tiny crates for protracted periods or never let out of closed rooms, crates stacked with the animals’ waste running down to those below, and untreated medical conditions like severe dental disease. And then she entered animal rescue, where her passion for “saving” dogs was equaled only by the passion of the people who set out to get her out of the rescue business. Some of that intensity surely relates to the life-and-death nature of rescue work, too. But the notion of neglected and abused children just doesn’t seem to inspire the same level of emotion that dogs and cats do. If you were to speculate, what’s going on? I’m not a religious person, but the words that come to mind are “original sin.” Children are people, which makes them complicated. Even if you try to help, they can be difficult and ungrateful. Dogs and cats are innocent—we’re the ones who cause all their problems. As you point out in the piece, back in the 1970s, 20 million dogs and cats were being euthanized in the U.S. each year. The number is far lower, with the death toll in L.A. dropping from around 110,000 in that decade to something like 60,000 in the 1980s. Where does it stand now? Because some animals that come into a public shelter will be too sick or violent to be adoptable, a save rate of 90 percent is considered achieving No Kill status. The City of Los Angeles is getting closer. In the first nine months of fiscal year 2014-2105, about 80 percent of dogs and cats made it out of the shelter alive. In L.A. County by contrast, it was only 52 percent. Shelter intake is substantially higher in poor communities; changing that is the focus of some really interesting new rescue work. I know you have a couple of rescue dogs. What’s their story? When my family and I adopted our first rescue dog, we were greeted with what seemed to be a great deal of skepticism by rescue volunteers. Kids—they don’t seem so popular with rescue volunteers. When my family applied to adopt Haskell, our first dog from a rescue group, in 1999, I had no idea what rescue was, and I was shocked when someone came to the house to see if it was “good enough.” Beyond that, though, the process wasn’t difficult, and we had a six-year-old daughter at the time. When Haskell died at age 11, we went back to the same group and adopted a puppy. Casey’s an intelligent and very headstrong chow mix who’s now 10 1/2. Almost three years ago, we agreed to be a temporary foster home for Pinta, a scared young Rottweiler rescued from the South L.A. shelter. A week later, we were in love and signed the adoption papers. After adopting my sharpei-golden mix, I came to realize that the rescue people have to be distrustful; after all, it’s often the case that a dog winds up in a shelter or abandoned because of poor or inadequate stewardship. But even then, it seems like rescue can have a somewhat brittle us-versus-the-world outlook. When I jokingly referred to my dog as a pig, I was corrected to say that she was “food-motivated.” What seemed utterly humorless and PC at the time, I guess, is probably a function of how much poor decision-making volunteers see. Duly noted. So your dogs—are they the extent of your involvement with the No Kill movement? Yes. I love my dogs, but I’m more interested in people. One of the great ironies, which you focus on in the story, is that the rescue movement has given rise to hoarders who kind of hide in plain view: Rescue hoarders. He’s an expert you interview for the piece. Yes, he told me that more hoarding cases were coming to light, both in the U.S. and in Europe, and no one knows why. No Kill seems to make it easier for hoarders to get hold of animals. I support the No Kill ideal, but it’s harder to realize than some of its proponents would have us believe. Of course, Peck denies hoarding animals, but what traits, generally speaking, do hoarders share? Researchers divide animal hoarders into types, with the difference being their motivation. The “exploiter” accumulates animals strictly for his/her own pleasure; the “overwhelmed caregiver” and “rescue hoarder” both justify what they’re doing as righteous and necessary to save the animals from euthanasia. But the bottom line is that none of them care properly for their animals, and the animals suffer terribly as a result. Has working on this story changed your perspective in any way? It makes me value the work of good rescues even more, but I’m also a lot more suspicious. I’ve become aware that there are rescue scams, too—people soliciting GoFundMe donations to “save” animals that turn out to be dead or nonexistent. Last thing: I think most of us would assume we’d know a hoarding situation when we see one, but apparently, that’s just not what happens. What are some tips to make sure you’re getting your dog from a reputable organization?